The idea is that for underwater combat, there's multiple levels that things could take place. It's easier to see what's going on since each level is clear. The whole thing tears down easily and is transportable. 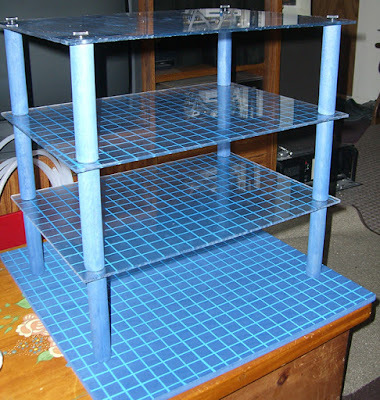 This is a relatively inexpensive project, and the following supplies will make more sense as you read through the build. This should be something sturdy like a piece of wood. It should be thick enough for the anchors you choose. Something clear like acrylic would be ideal. This can be difficult to source locally and you might have to order online. 4 pillars for each layer. Tall enough to reach between the layer and be able to move miniatures around. For however many layers you want. Diameter should be thick enough for the anchors you choose. Wider is better and you'll need enough to cover each layer. Whatever colour you want the lines to be. Whatever colour you want the board and dowels to be. 4 pairs for each level. 2 Nuts that will fit on the bolts. 4 to connect the top layer. Marking up the grid and drawing the lines. Drawing the lines on the tape. Drilling holes for each layer and the anchors. Screwing in the hanger bolts. Cut all the boards to size. * You might want to make the wooden base board larger for support. Drill 4 holes in the corners of each board, making sure they all line up. Cut 4 dowels for each layer. File the edges of all cuts and drills to remove sharp edges. Prime the wooden base and dowels with whatever colour you want. If you're using this tutorial for 3D terrain, then you might not want a grid and can skip this section. 1. Cover the boards in masking tape, overlap so there's no chance of the board showing though. 2. Start by using a ruler to mark 1-inch sections along your boards. 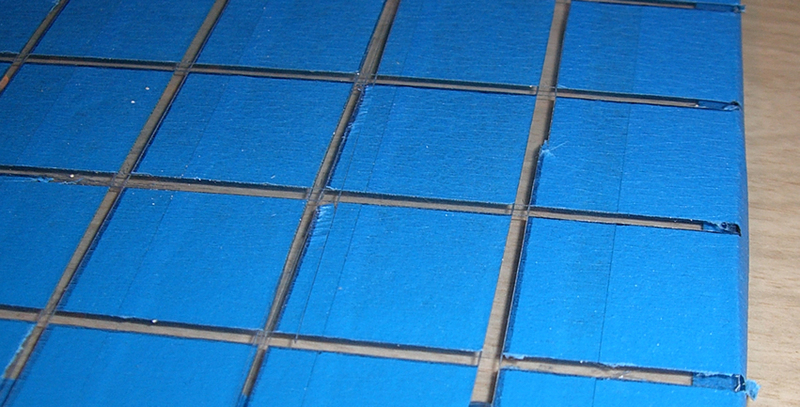 If you want thicker grid lines, then consider making each square a little larger than an inch. Start on one side of the board and work towards the other.. when you mark the grid on the opposite side, start from the same edge you began with the first time. 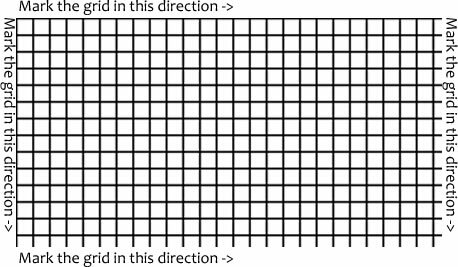 This way, if your board isn't perfectly sized for your grid, the squares will still line up. While a ruler works for drawing the lines, a carpenters square or combination square will help make sure everything is at a right-angle for more accurate squares. 3. 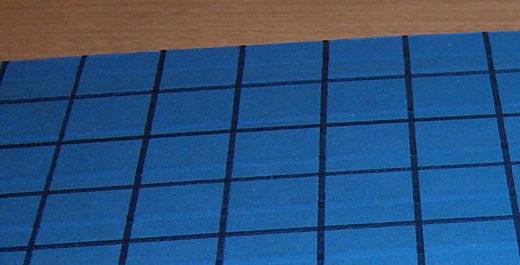 Use a knife to cut the grid you've just drawn from the masking tape and pull the tape up. Don't press too hard, you don't want to leave gouges in the boards. 4. 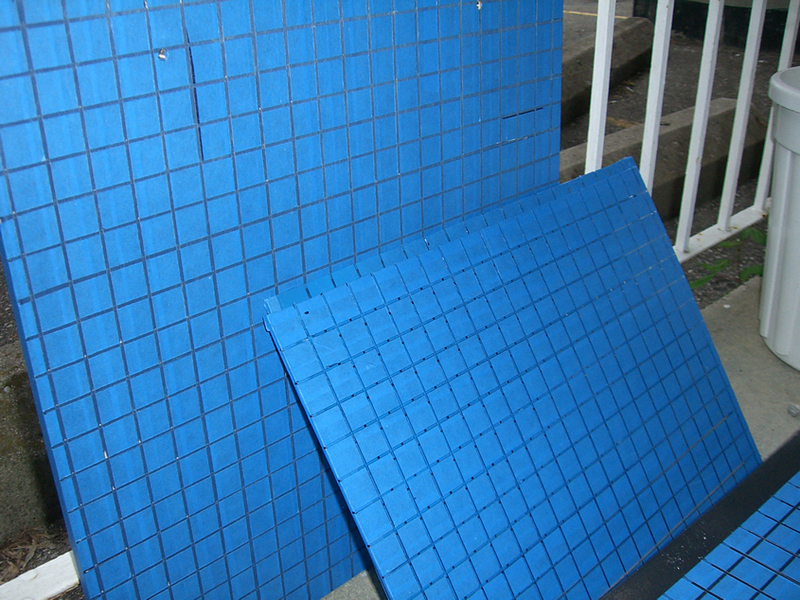 Spray paint the grid on the boards. A couple light coats is better than a single thick one, but make sure the lines are clear. 5. 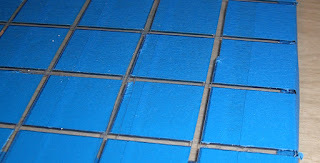 Use a knife to pull up the corner of each square of tape, careful not to scrape the paint. Pull the tape off. Below you can see what we're building. Each dowel will end up bolting in to each other, the bottom dowel bolts into the base and a capped bolt at the top will hold the final layer on. The two types of parts we used here are Headed Hex Drive with Threaded Insert anchors (pictured left) and Hanger Bolts. (pictured right) Not pictured is a regular bolt (with a cap if you have it) for the top of the column. Make sure that the ends that will thread into the anchors aren't too long. 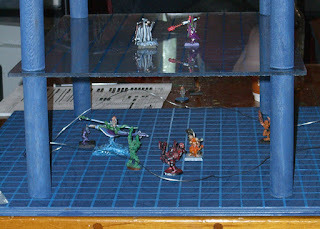 You want them to be short enough they won't poke through things like the base. Ideally they'll be as long as your anchor is deep. 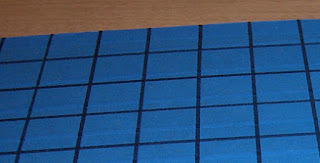 Use one of your layers to mark where the holes should line up on the base. Mark the centers of one side of each dowel. Drill holes in the base and on one side of each dowel. Use a hex key that matches the top of your anchors to screw the anchor into the wood. These have 2 different ends: one side is flat with smaller threading that will bolt into the anchors you installed above and the other side has larger threads (teeth) and a pointed end like a screw. This second end will be screwed into the other side of each of the dowels. Start by drilling holes into the other side of each dowel using a bit the same size as the screw end of the hanger bolt. Like above, it's the diameter WITHOUT the threads. Attach one of the nuts to the bolt. Attach the second nut to the bolt. Once the nuts meet, the first one won't turn when you try to rotate the second one. You can now apply force to the second nut in order to turn the whole assembly as one unit and screw it in to the other side of each of the dowels. Do try to be straight. Below is a good example of what each end of the dowels will look like once you've completed the above steps. From here you'll be able to screw the first four dowels into the base, lay down the first level, use the next set of dowels to hold the board in place and repeat! Regular bolts will hold down the top layer and you can always find plastic caps for them to make things look nice. If you're planning on drawing on the acrylic, just be sure to draw on the side without the grid lines. So when you're assembling the tower, have the grids on the underside of each level. As you can see, everything assembles well. Because of how it all comes together it's incredibly simple to unscrew everything and pack up as well.